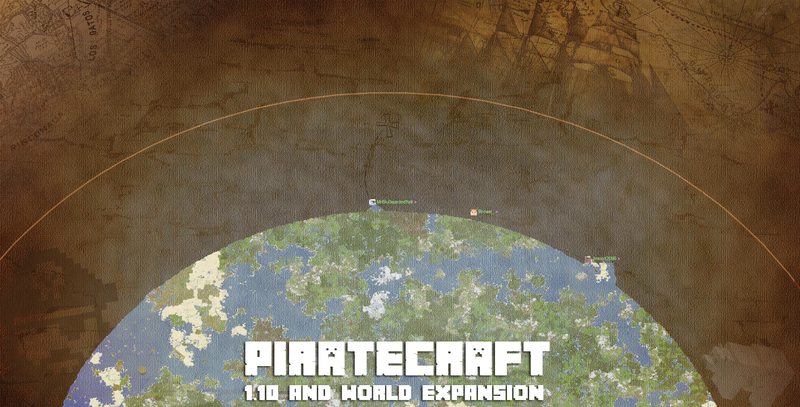 PirateCraft has been updated to 1.10.2 and the world has been expanded! I would like to start off with a big thank you to everyone that has worked tirelessly on the test server testing 1.10 for PirateCraft, without the community help 1.10 testing could not have happened. The test server will be updated with all the world changes and mirror the live server once I am ready to start testing some new plugins, I will then re-white list to those that got added to allow testing new plugins before they go live. 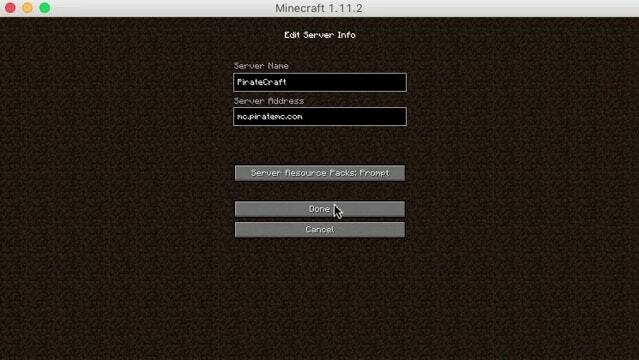 Removed backwards compatibility for older client versions, you will need 1.10 to join to PirateCraft now. Removed custom mobs, The custom mobs plugin broke with the 1.10 update, be sure to see these appear again soon. Removed Chairs, Chairs broke with 1.10, testing of a new chairs plugin will happen very soon. Siege is back on and Live! I have expanded the map from 7000 from spawn to 10,000, Its a gradual expansion just in-case Mojang decides to drop another terrain update, remember you can get areas regenerated by requesting it on the forums. TPS may drop as new parts of the world are being explored, this needs to create the chunks and then generate them on the map. Now we are upgraded I can now focus on some updates I have had planned for a very long time, as long as Mojang does not release another useless update soon! Quick reminder that the PirateCraft summer sale ends at the end of august! So use coupon code sunnysails for 15% off everything in the store! Coupon code runs until September 1st! So get your summer captain hat on! This topic contains 9 replies, has 9 voices, and was last updated by CaptainCracken 2 years, 8 months ago. Whoa !!! Thank you so much @godsdead !!! I love that the map got expanded! Since there are so many new areas with no possible way to teleport to them, it promotes exploration on horseback! Also already found a great area to set up a new base. Thanks Godsy! I agree with everyone! It is like a brand new server! This will breathe new life into everything!